Charles Darwin's book The Origin of Species, published in 1859, had a wide impact in the United States and influenced thinking in many different fields of intellectual inquiry. 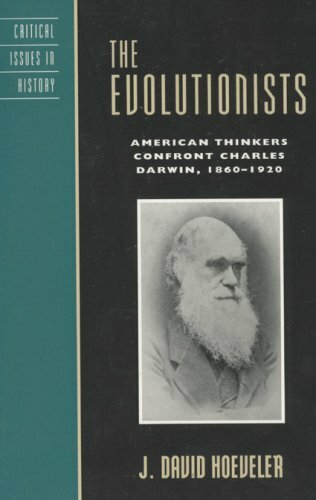 The Evolutionists examines the major American thinkers who addressed Darwin's ideas and gave them applications. The book reviews the controversies evolutionary thinking introduced in science, religion, sociology, feminism, economics, law, and philosophy. Chapter arrangements feature pairings of American thinkers in these categories.